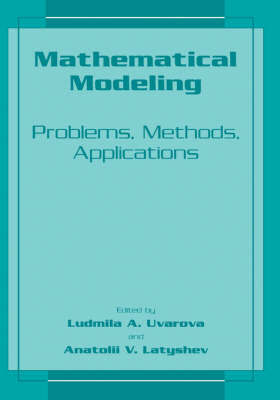 This volume contains review articles and original results obtained in various fields of modern science using mathematical simulation methods. The basis of the articles are the plenary and some section reports that were made and discussed at the Fourth International Mathematical Simulation Conference, held in Moscow on June 27 through July 1, 2000. The conference was devoted to the following scientific areas: * mathematical and computer discrete systems models; * non-linear excitation in condensed media; * complex systems evolution; * mathematical models in economics; * non-equilibrium processes kinematics; * dynamics and structure of the molecular and biomolecular systems; * mathematical transfer models in non-linear systems; * numerical simulation and algorithms; * turbulence and determined chaos; * chemical physics of polymer. This conference was supported by the Russian Ministry of Education, Russian foundation for Basic Research and Federal Program "Integration". This volume contains the following sections: 1. models of non-linear phenomena in physics; 2. numerical methods and computer simulations; 3. mathematical computer models of discrete systems; 4. mathematical models in economics; 5. non-linear models in chemical physics and physical chemistry; 6. mathematical models of transport processes in complex systems. In Sections One and Five a number of fundamental and sufficiently general problems, concerning real physical and physical-chemical systems simulation, is discussed.